Establish Consistent Rules. No amount of training is going to work unless all members of the family are on the same page. Sometimes the biggest problem is that each family member is rewarding different behaviours. Reward Only The Good Behaviour. We often reward our dogs for bad behaviour without realising. Do you hate it when your dog jumps up on you, but you continue to pat them and without realising, encourage the behaviour? Or do you have a dog that drives you crazy with wanting you to throw the ball until you give up and throw it to stop him? Ignore Unwanted Behaviour. Next time your dog jumps up on you, try looking elsewhere and walking away. 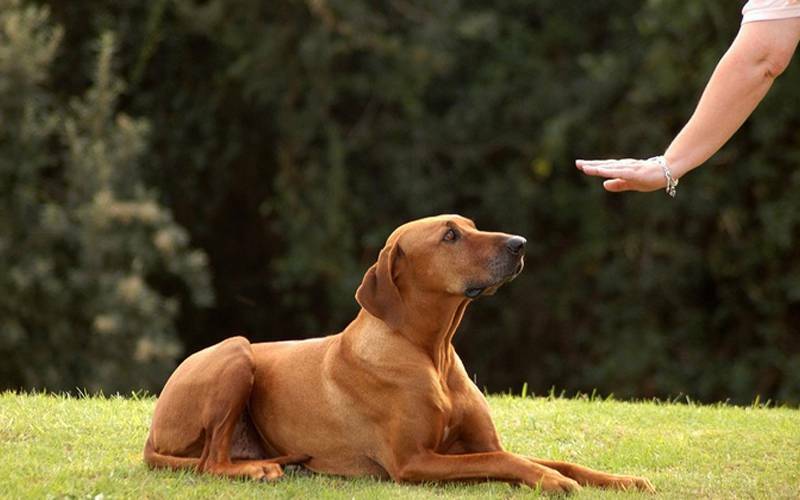 Call your dog and ask him to sit, then when he gets it right give him a reward. If he continues to jump on you, ignore him and repeat until he gets it right. Exercise. Is your dog getting enough exercise and receiving enough mental stimulation? When we exercise our dogs, there is a lot more going on than simply tiring them out. When dogs (just like humans) exercise it releases endorphins in our brains that make us feel good. Exercise helps us all to maintain focus while providing mental stimulation.